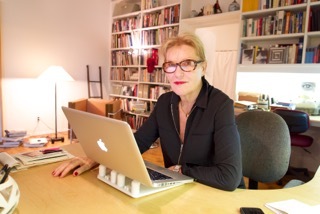 Vera Graaf is a writer, journalist and documentary filmmaker, living in New York City. She spent the Seventies living with her mate, Michael Zimmer, in the Caribbean, first as a hippie, then owning and operating a movie theater in the British Virgin Islands. Her forthcoming memoir, VIRGIN TERRITORIES, is a fictionalized account of that mad enterprise. As a journalist, she covered art and architecture, design and cultural news for various German publications, such as DIE ZEIT, DER SPIEGEL and SUEDDEUTSCHE ZEITUNG. Using her numerous contacts, she later branched out into documentary filmmaking, teaming up with filmmaker Max Scott to profile passionate art collectors in “Stranger from Away” (2003) and “Souvenirs” (2007), shown widely at film festivals and on PBS.